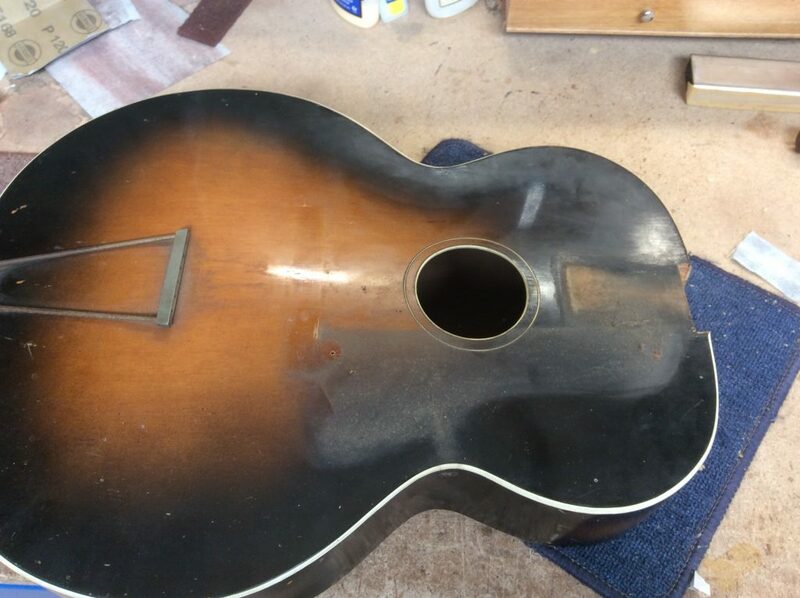 I really enjoy the opportunity to get my teeth into a restoration project, and when this beautiful old arch-top Moreno guitar came up, I jumped at chance to take it to bits. 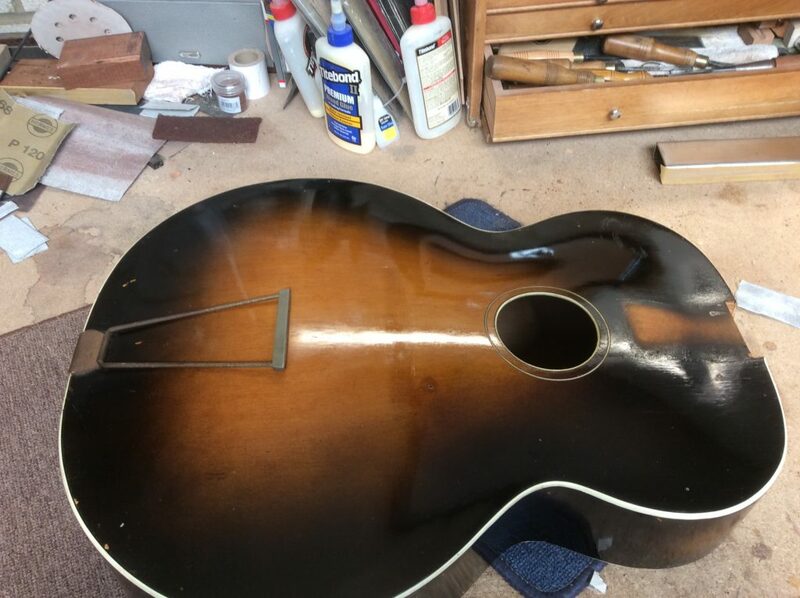 The back had a bad split, the neck was hanging off and underneath all the skin cheese on the fingerboard, it was in desperate need of a re-fret. 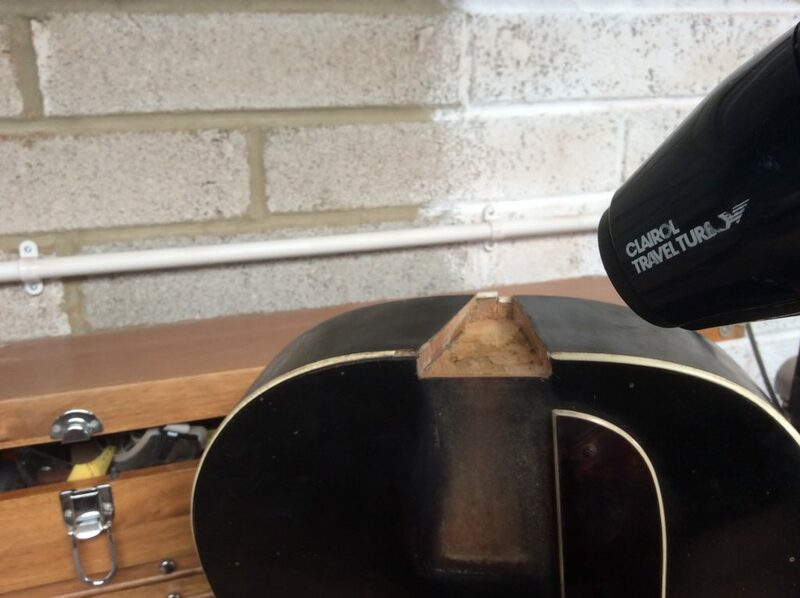 One of the nicer things about working on older instruments like this is that, sometimes rather than invasive work and power tools, all they really need is a little encouragement! With that much play in the neck, all it took was a small amount of heat to get things moving in the right direction. Its only really once you get an instrument back to its fundamental parts that you can really asses how much work will need to be done. Thankfully, apart from the originally spotted problems, this was one solid beast. With decades of dust carefully removed, it was starting to look really promising. While the road-worn look has a certain charm to it, it is always really satisfying when you can get these old gents back to their original glory. Unfortunately, at this point I got far too carried away with my work to remember to take any more photos. Having taken the fingerboard off to shoot the neck and discovering a beautiful piece of ebony lurking under all that crud and dust. 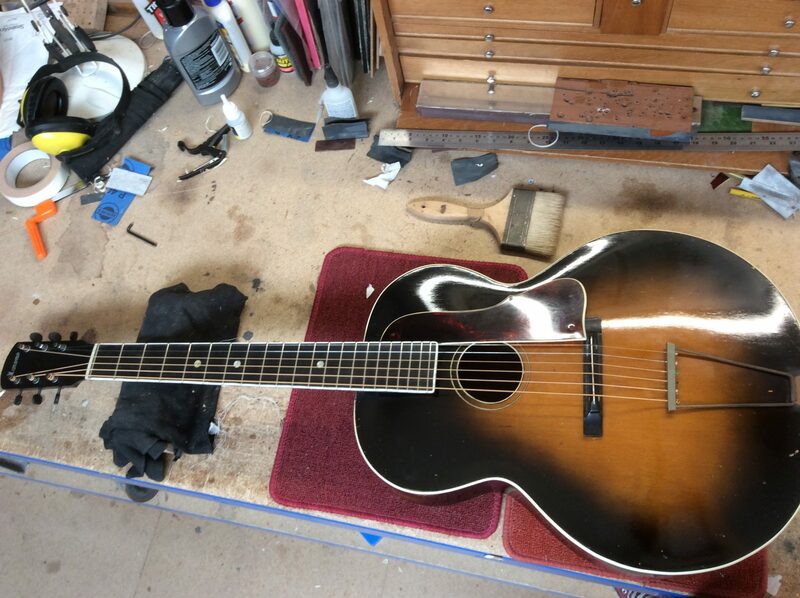 Once it was finished off with a nice replacement set of replica Golden-age machine heads and some lovely rich sounding flat-wound strings, it didn’t stay in the workshop long. 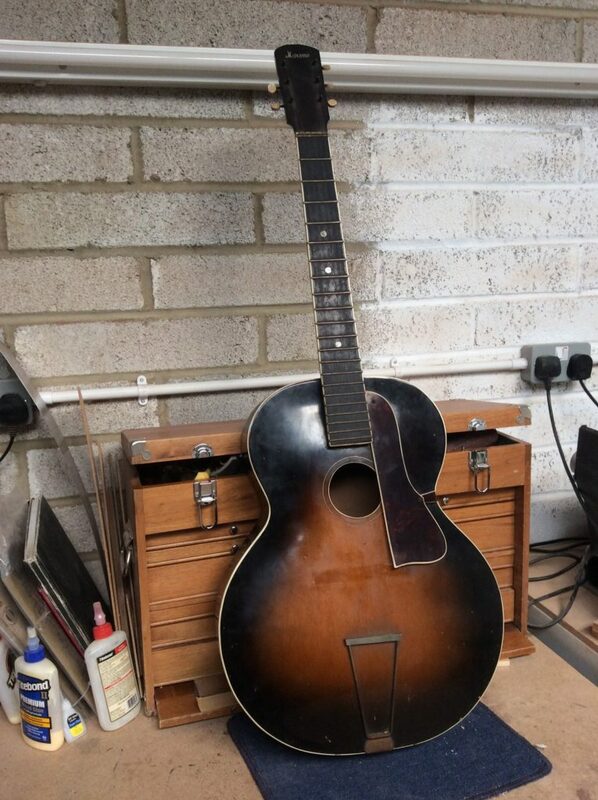 It was quickly snapped up by a local guitar dealer, who had been after it since its arrival.